Mudras or yoga with your hands are a wonderful way to bring intention, focus, and energy to your yoga and meditation practices. One of my favorites is Padma Mudra or Lotus Mudra. The thumbs and pinky fingers gently press together while the other fingers fan out to form the shape of a blooming flower. The hands are typically held just in front of the heart like a loving cup ready to be filled and shared. It’s nourishing for the heart chakra, energizes the body, and can spur creativity. It also strengthens the hands. 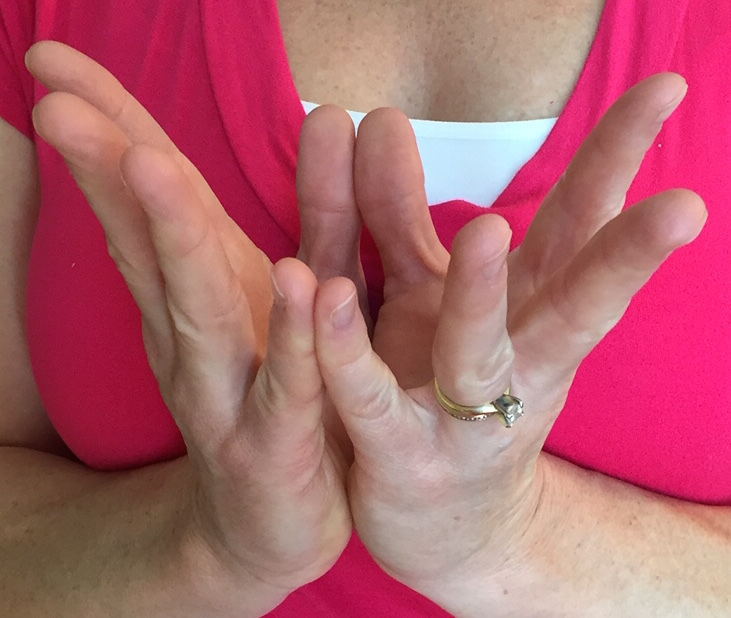 There are many other mudras to explore, find one or a few that will enhance your practice.